Hold on to Your Joysticks! 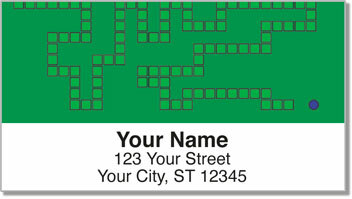 Put some 8-bit fun on every envelope with return address labels that are a flashback to the early 1980s! That's when video game enthusiasts were playing games like Space Invaders and Pac Man, and if you wanted to play you went to the local arcade with a pocketful of coins. 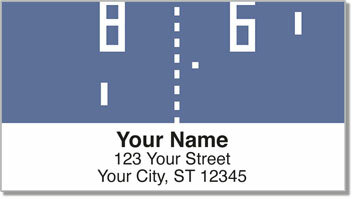 We've come a long way since then, but today's gamers owe a big thank you to the creators of Pong. 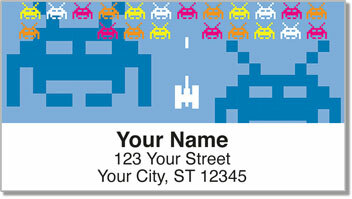 Retro Arcade Address Labels from CheckAdvantage are a unique way to add personality to your outgoing mail. They'll also make it easy by eliminating the need to fill out envelopes completely by hand. Now that's a nice cheat code! 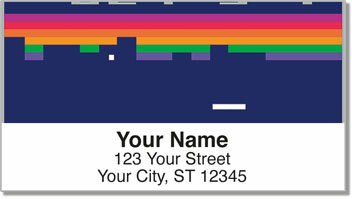 Get your own Retro Arcade Address Labels now! This selection can also be ordered as a set of matching personal checks.